Supports in-system programming of flash devices through RS232, USB or CAN. This plug-in requires MPLAB X IDE version 3.30 or later. Microchips compact MP3 algorithm designed to fit in small memory footprint PIC32MX Microcontrollers. This code requires only 28MIPS of performance (CD Quality audio), 42KB Flash and 11KB RAM memory for operation on the PIC32MX. Microchip offers MP3 Decoder library both in non-modifiable binary code and source code formats that enables usage on high performance PIC32MX devices. This part number is for Non-modifiable binary code. Source code is also available on Microchip Direct. Requires patent-only licensing through technicolor. For more details on the MP3 decoder, please see the user’s guide below. 2 Demonstration vehicles are available in HEX format for use with the PIC32 Bluetooth Starter Kit, and the PIC32 Bluetooth Audio Developers Kit. Please note that these are not compatible with one another. The demo provides MP3 playback from a USB memory stick. MP3 Decoder Library for PIC32 is also available in MPLAB Harmony. Click Here for details. Microchips compact MP3 algorithm designed to fit in small memory footprint PIC32MX Microcontrollers. This code requires only 28MIPS of performance (CD Quality audio), 42KB Flash and 11KB RAM memory for operation on the PIC32MX. 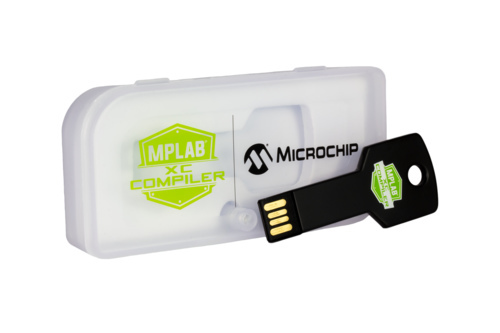 Microchip offers MP3 Decoder library both in non-modifiable binary code and source code formats that enables usage on high performance PIC32MX devices. This part number is for modifiable source code. A binary-only version of this code is also available on Microchip Direct. Requires patent-only licensing through Technicolor. The AAC algorithm (Non-Modifiable Binary Code) is designed for 80MHz or greater PIC32MX MCUs. This code requires 62MIPS peak 34MIPS average performance, 61KB Flash and 12KB RAM without frame buffer memory for operation on the PIC32MX MCU. Microchip offers AAC Decoder library both in non-modifiable binary code and source code formats that enables usage on high performance PIC32MX devices. This product is the non-modifiable binary code. Users remain responsible for licensing for their products through Via Licensing. AAC Decoder Libraries for PIC32 is also available in MPLAB Harmony. For details, Click Here. This AAC algorithm (Source Code) is designed for 80MHz or greater PIC32MX MCUs. This code requires 62MIPS peak 34MIPS average performance, 61KB Flash and 12KB RAM without frame buffer memory for operation on the PIC32MX MCU. Microchip offers AAC Decoder library both in non-modifiable binary code and source code formats that enables usage on high performance PIC32MX devices. This product is the modifiable source code. Users remain responsible for licensing for their products through Via Licensing. The Microchip Bluetooth stack for audio streaming with the standard SBC software CODEC is provided as a non-modifiable binary file combined with source code for usability. It includes the Advanced Audio Distribution Profile A2DP 1.3, Audio/Video Remote Control Profile AVRCP 1.5, Serial Port Profile SPP 1.2 and Service Discovery Protocol SDP 1.1. This binary code is combined with source code for operation on the PIC32 Bluetooth Audio Development Kit DV320032. Users have the option of USB Audio functionality or just the streamlined stack. In version 2.0 of this software, Free-RTOS has been removed. A version of this code with the addition of the Advanced Audio Coding AAC CODEC SW320014-2 is also available on microchipDirect. See the Bluetooth Audio Development Kit Reference Guide below for usage details. The Microchip Bluetooth stack for audio streaming with the standard SBC software CODEC plus the “Advanced Audio Coding” AAC software CODEC is provided as a non-modifiable binary file combined with source code for usability. It includes the Advanced Audio Distribution Profile A2DP 1.3, Audio/Video Remote Control Profile AVRCP 1.5, Serial Port Profile SPP 1.2 and Service Discovery Protocol SDP 1.1. This binary code is combined with source code for operation on the PIC32 Bluetooth Audio Development Kit DV320032. An SBC CODEC only version of this code is also available on microchipDirect SW320014-1. Also available in Harmony Framework. Click here for details. For more detailed information on this library, please see the associated ReadMe file available for download here. Microchip offers a compact MP3 Decoder library is designed to fit in small memory footprint PIC32MX and also PIC32MZ devices, thus reducing your system level cost. To purchase this library either in source or binary form, Microchip must verify purchasing company is a Technicolor licensee. This code requires only 28MIPS of performance (CD Quality audio), 42KB Flash and 11KB RAM for operation on the PIC32. This software is a plug-in module for the Harmony Framework, and is not compatible with MLA. Microchip offers premium components for MPLAB Harmony that are not included with the free basic framework download. This includes the basic Bluetooth audio package for Harmony, which is a complete software package for customers looking to enable audio playback with remote control, in a Bluetooth application. Additional audio decoder libraries are available as add-on modules, supporting MP3 and AAC decode. For more information on these libraries, please see the following links.